New Beginnings Christian Fellowship Game Night! 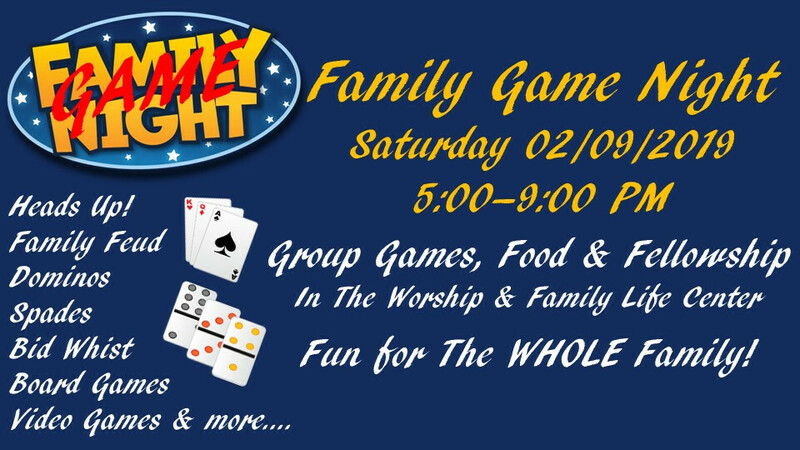 We will have Group Games, Family Games, Children Games , Card & Domino Tournaments, Food, and plenty of time to Fellowship. Come One, Come All. New members looking to get to know people in the church, Visitors and Friends looking to get to know New Beginnings Christian fellowship. Save this to you calendar, you won't want to to miss this.